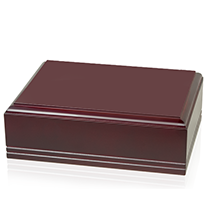 A multi-purpose category combining our general use Memory/Wishbox collection and our CM & CMS pet urns. Rich walnut finish, simple design with paws, large size. Mahogany finish, simple design with paws, small square size. 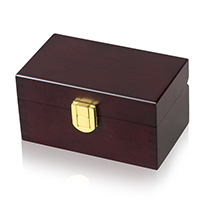 Elegant small urn or memory box with brass lock and felt lined interior, great for engraving. Maximum Inner Capacity: 26.71 cu. in. 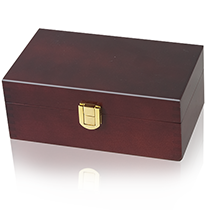 Elegant medium urn or memory box with brass lock and felt lined interior, great for engraving. Maximum Inner Capacity: 55.78 cu. in. 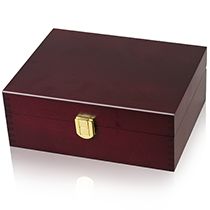 Elegant large urn or memory box with brass lock and felt lined interior, great for engraving. Maximum Inner Capacity: 101.40 cu. in. 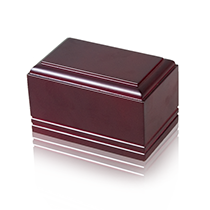 Small beveled edge urn with sliding bottom, great for engraving plates. Maximum Inner Capacity: 23.99 cu. in. Medium beveled edge urn with sliding bottom, great for engraving plates. Maximum Inner Capacity: 50.78 cu. in. 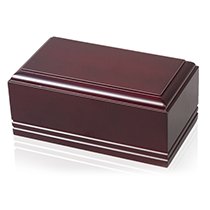 Small beveled edge urn with sliding bottom, great for engraving plates. Maximum Inner Capacity: 93.51 cu. in. 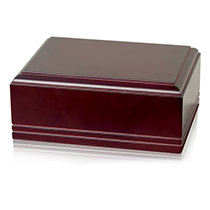 Small beveled edge urn with sliding bottom, great for engraving plates. Maximum Inner Capacity: 145.42 cu. in. Enchanted World of Boxes is a wholesale boutique store supplying thousands of retailers across the United States, Canada, and Europe with a variety of unique gifts and goods that simply can’t be found anywhere else. We pay close attention to current and past trends, offering both traditional and contemporary in-house custom designs, presenting a selection of products that have appeal to a wide range of retailers. Founded in 1989, “EWB” is celebrating its 28th anniversary in the manufacturing & wholesaling industry. We thank our customers and friends, for the continued support, partnerships, and the friendships created over our many years in business. © Enchanted World of Boxes 2019 - All rights reserved.